In literal terminology, SEO stands for search engine optimization. Although that doesn’t mean anything right now, it will. SEO strategy in relevance to digital marketing, is the organizational process that makes a web page easier to find, scroll and categorize. This is done by optimizing a web page around topics, that you can find with keywords related to whichever topic you are searching for. This a helpful tool that helps search engines, like Google, to understand the purpose of a user’s searches. After extensive research, I found 4 ideal SEO strategies that you can implement in your marketing platform, that will get you to the top of Google search. When analyzing these tips keep in mind that you will also need to have a traffic analysis of your own demographic and target, for these tips to be useful. Many websites recommend, if possible, to have a .com domain. Studies show that 84% of top-ranking pages use .com as their top-level domain. This ties into also having a descriptive URL. Users tend to search exactly what they are looking for with descriptive keywords, which is why the URL being created should have these keywords. URL’s are important for branding, thus, taking the time to find those keywords is essential. Keywords are not only important within URL’s, but useful to have relevant keywords within a the given content. This type of marketing is referred to as content marking, which is a technique that creates, as well as, distributes, useful and relevant information to a target audience with the objective of obtaining profit through driving customer action. This content could be presented in a number of formats, such as, articles, images, audio formats, videos, interactive surveys, or a combination of multiple formats. The main purpose behind content marketing is to attract and maintain customer attention. This is done by providing content that is both relevant and valuable to them, but with the intention of altering or enhancing their consumer behavior. Be sure to define your keywords as well when implementing them. 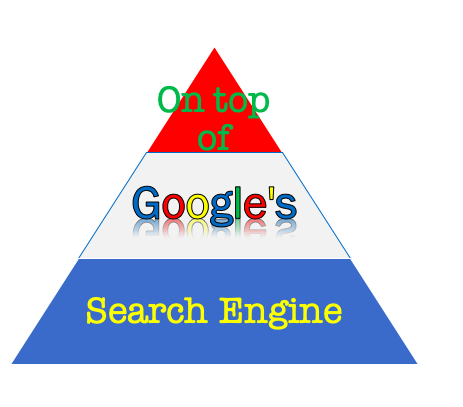 This technique is key for obtaining higher rankings in Google search. Google has a useful tool that utilizes mobile presence, this tool is called Google mobile-friendly tool. The 21st century is driven by mobile devices because of the ease of information accessibility. To be on top of the Google search engine it is ideal to target mobile platforms. To do so, while using the mobile friendly tool, you will need to switch over to a program that is compatible to a mobile device. This is utilized in mobile apps or mobile sites that are dedicated to mobile use. This allows the website the ability to be searched at the touch of a finger. To be a fierce competitor you will need to go the extra mile and target every platform for you business to be out there. Social media platforms bring in an immense amount of traffic. These platforms are crucial to business growth and can increase your ranking factor. According to Search Engine Watch, Twitter and Google created a deal that allows tweets to be indexed on SERPs. This simply means that you can now see a live timeline of the latest tweets, when you search for a brand, publisher or personality.